Al Jardine is sometimes referred to as the "lost" beach boy. After all, he was the only member who wasn't a Wilson brother (Brian, Carl, Dennis) or related to the Wilsons (Mike Love). Born in Ohio, Al attended Hawthorne High School with Brian Wilson, and the two are arguably the original Beach Boys, with Carl and Mike added later, and Dennis after that. 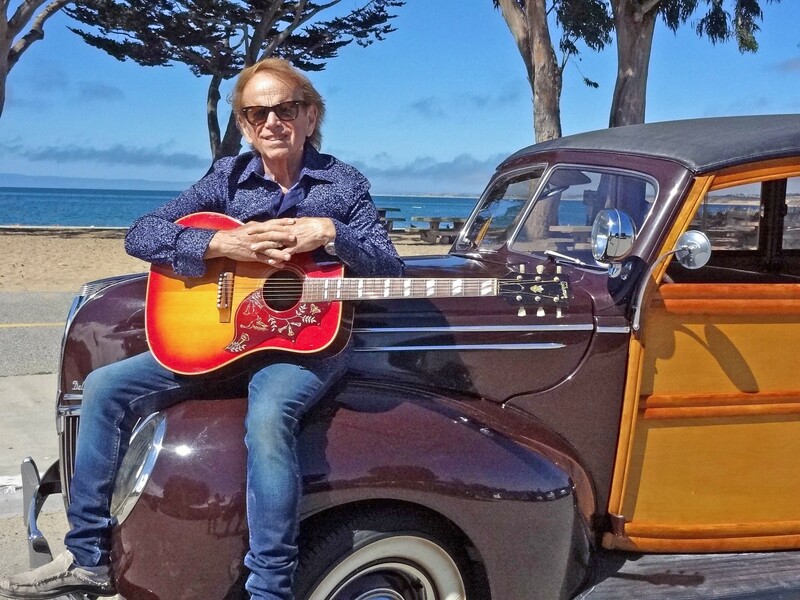 ICONIC COOL Founding member of The Beach Boys, Al Jardine, will present acoustic songs and personal stories about the band's fascinating career on Feb. 17 in the Clark Center. The band's first hit "Surfin'," featured Jardine on bass, though he later became the band's lead guitarist, backup singer, and occasional lead singer on hits such as "Help Me Rhonda," "Then I Kissed Her," "I Know There's an Answer," and other songs. "Surfin'" climbed to No. 75 on the Billboard charts, but after the band's first royalty check came in and it was less than $1,000, Jardine quit the band to pursue dentistry. About a year later, Brian asked him to rejoin The Beach Boys and he did. The rest, as they say, is history ... well-documented history! The Beach Boys are one of the most written-about bands ever. Los Osos-based Beach Boys author Jon Stebbins (The Beach Boys in Concert, The Beach Boys FAQ, and The Lost Beach Boy) shot me a quick email when he heard Jardine would be presenting a concert called A Postcard From California: From the Very First Song with a Founding Member of The Beach Boys on Saturday, Feb. 17, in Arroyo Grande's Clark Center (7 p.m.; all ages; $39, $49, $59, and $95 VIP—which includes a meet-and-greet with Jardine—are available at (805) 489-9444 or clarkcenter.org). "It's going to be a cool, personal, intimate show, with stories and acoustic guitar and a little Q-and-A with the audience," Stebbins explained. "Al is a very low-key guy, probably the least flamboyant of all the original Beach Boys, but he has maintained an amazing voice, and when he sings 'Help Me Rhonda' it still sounds like 1965 when he was a 20-something. I think it will be a fun show for any locals with a like for the Beach Boys and great songs. Al's son Matt performs with him, and he has a fantastic falsetto that covers the super high parts required in the Beach Boys harmony." Jardine is a music legend, a member of the Rock and Roll Hall of Fame and recipient of a 2001 Lifetime Grammy Award. According to press information, "In an intimate, acoustic setting, including rare images and video, Mr. Jardine takes us back into a history so improbable that it must have been meant to be! From meeting Elvis Presley to making Pet Sounds, here are the songs, stories, and harmonies that moved generations, all in one unforgettable evening." Sounds like a blast and a chance to hear stories from someone who was in the thick of it! Hip-hop and classical music mixed together? Is that even legal? With Black Violin at the controls, it'd be a crime not to try. Featuring classically trained string players Wil B. (viola) and Kev Marcus (violin), joined onstage by DJ SPS and drummer Nat Stokes, Black Violin encompasses the virtuosity of classical musicianship with the social consciousness of hip-hop culture. CLASSICAL BOOM! Black Violin, a hip-hop and classical mash-up duo, brings their virtuosic musicianship and socially conscious message to the PAC in SLO on Feb. 17. Making their Central Coast debut on Saturday, Feb. 17 (8 p.m.; all ages; student and adult tickets from $26.60 to $52 at (805) 756-4849 or calpolyarts.org), at Cal Poly's Performing Arts Center, witness Black Violin's multi-genre sound called "classical boom," which blends classical, hip-hop, rock, R&B, and bluegrass music. Our troops in Iraq and attendees of Barack Obama's official President's Inaugural Ball have enjoyed the duo's groundbreaking collaboration. 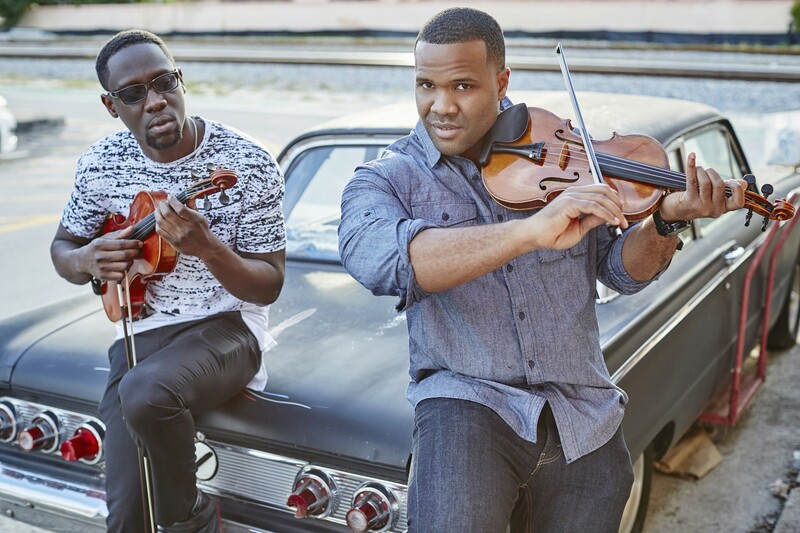 Individually and together, Black Violin has shared stages with P. Diddy, Kanye West, 50 Cent, Tom Petty, Aerosmith, Aretha Franklin, and The Eagles, among others; they also creatively worked with the Wu-Tang Clan, Wyclef Jean, and Alicia Keys. Plus, Wil B. and Kev Marcus have composed music for television's The Pitch and have appeared on HBO's Ballers as well as The Tonight Show and Ellen. 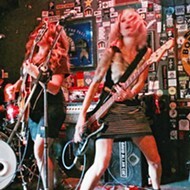 Stereotypes, their most recent album, debuted at No. 1 on the Billboard Classical Crossover Chart and No. 4 on the Billboard R&B Chart. They're currently writing and recording their next studio album. Members of the San Luis Obispo Youth Symphony will sit in with the group for a number and also close the show. A free pre-show lecture by KCBX host Tracy Morgan will be held at 7 p.m. in the Philips Lecture Hall. 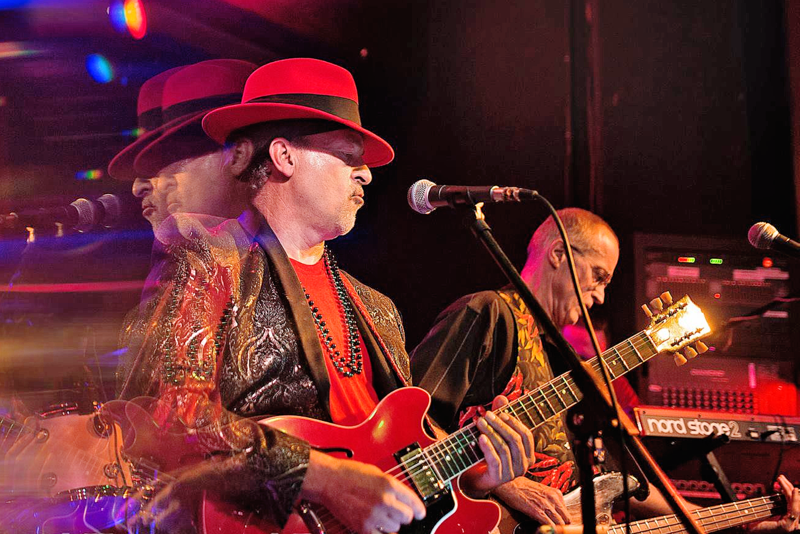 When your dad is musical alchemist, ethnomusicologist, multi-instrumentalist, award-winning music educator, and all-around entertainment Mad Hatter Joe Craven, do you have any other choice than to become a gifted performer yourself? 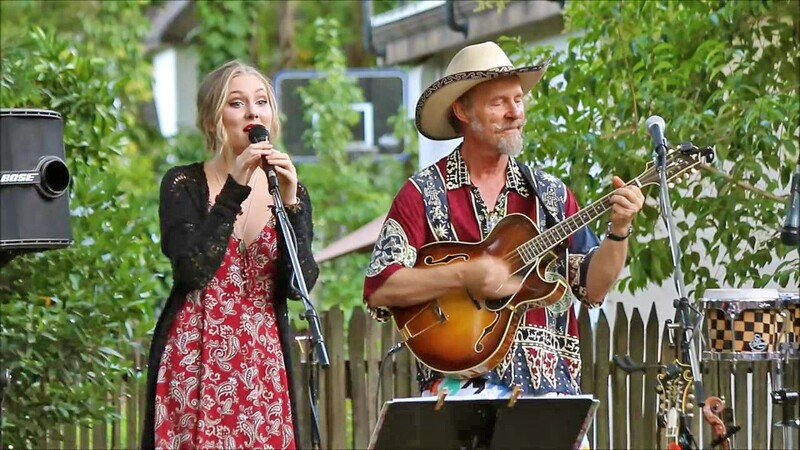 FATHER-DAUGHTER FUN Amazing multi-instrumentalists and vocalists Joe and Hattie Craven will be joined by The Sometimers for two SLOfolks shows, Feb. 9 at Coalesce Bookstore and Feb. 10 at Castoro Cellars. For Hattie Craven, I'm guessing the path was clear. The multi-instrumentalist, actor, dancer, and vocalist picked up the fiddle at age 4 and soon joined Laura Love on stage at the Kate Wolf Music Festival. She was doing musical theater by age 6 (one of her older brothers is now a professional actor, natch!). Hattie recorded her first album, Eleven, at age 11, with help from her dad and his band The Joe Craven Trio. Her most recent album, Bright, was recorded at 15 with just her and her dad. Currently a high school student at Sacramento's Performing and Fine Arts Academy, she, her father, and his band The Sometimers will join together to play two SLOfolks shows this weekend, on Friday, Feb. 9, at Coalesce Bookstore (7 p.m.; all ages; $20 at (805) 772-2880); and Saturday, Feb. 10, at Castoro Cellars (7:30p.m. ; all ages; (805) 238-0725 or Boo Boo Records). 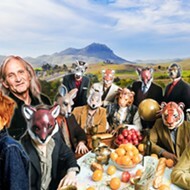 I've seen the Cravens perform together at the Live Oak Music Festival (by the way, early discount tickets are currently available for the June 15 through 17 festival now at liveoakfest.org), and they're fantastic fun, delivering a mix of roots, folk, jazz, and world music sounds. Don't miss it! MARDI GRAS PART 1 The Siren hosts a Carnival Party with Mama Tumba on Feb. 9 with African and Latin dance sounds. Costumes encouraged. 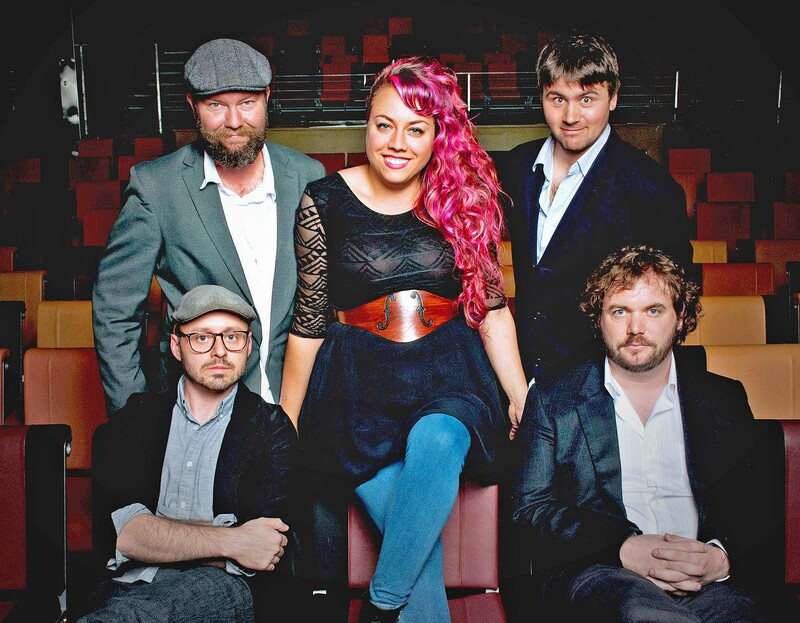 Morro Bay's The Siren has seven killer shows lined up over the next couple of weekends, starting with Mama Tumba and a Carnival Celebration just in time for Mardi Gras! 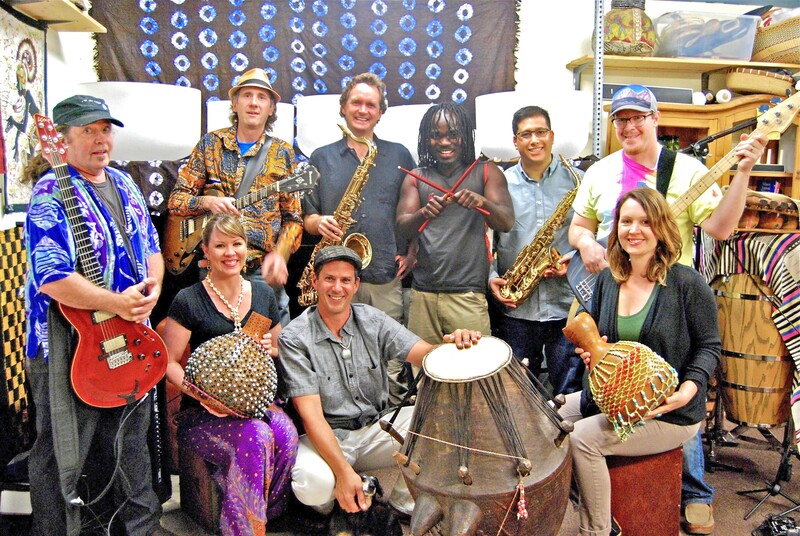 On Friday, Feb. 9, groove to the band's African and Latin dance sounds. Get in the spirit with costumes and beads, if you dare. Boombala opens the show with their reggae sounds (9 p.m.; 21-and-older; $7 at the door). Shakey Groundz brings their R&B, soul, Tex-Mex, funk, blues, rock, and Latin sounds to The Siren for a free afternoon show on Saturday, Feb. 10 (3 p.m.). There's a Leather & Lace Drag Show featuring the SLOQueerdos later that night (8 p.m.; 21-and-older; $10 presale or $15 at the door). Hey, it's Morro Bay's first drag show! Woop woop! 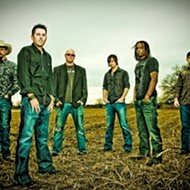 TWISTED BLUEGRASS Front Country, playing Feb. 11 at The Siren, takes their own unique approach to acoustic American roots music. Numbskull and Good Medicine Presents team up with The Siren for two of the upcoming shows, starting with progressive bluegrass act Front Country on Sunday, Feb. 11 (7 p.m.; 21-and-older; $10 presale at Boo Boo Records and ticketfly.com or $12 at the door). Hailing from the Bay Area, the band found its sound playing acoustic jams in the Mission District. 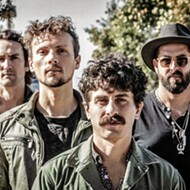 Made up of a mandolinist with a degree in composition and classical guitar, a hard rock and world music guitarist, a jazz and bluegrass bassist, a honky-tonk and electropop violinist, and a soulful lead singer who's also a multi-instrumentalist and songwriter, Front Country "forged a sound hell-bent on merging the musical past with the future," according to their press materials. 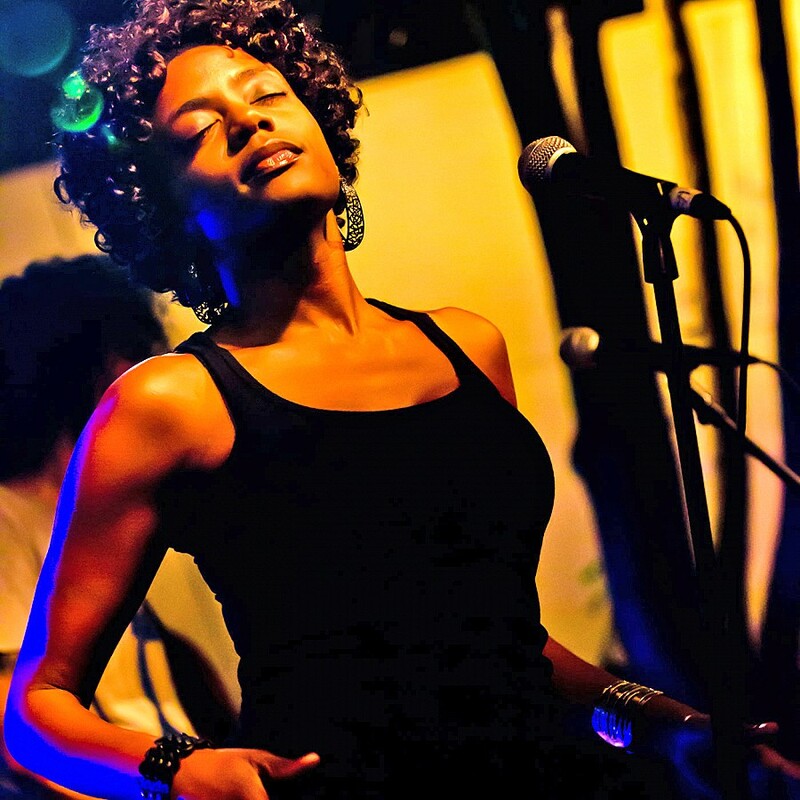 SOUL SISTER Former Orgone singer Niki J Crawford plays The Siren on Feb. 16, bringing soulful songs from her upcoming album The Second Truth. 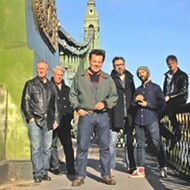 I can't believe it, but there are still some tickets left for The Blasters show next Thursday, Feb. 15, at The Siren (7:30 p.m.; 21-and-older; $20 presale at Boo Boo Records and ticketfly.com or $25 at the door). These can't last so buy yours now! The Siren presents another in-house show with former Orgone singer Niki J Crawford next Friday, Feb. 16 (8 p.m.; 21-and-older; $13 presale at ticketfly.com or Boo Boo Records or $15 at the door). I heard some rough tracks from Crawford's upcoming album The Second Truth, and she's sounding amazing! Soulful and funky horn-driving sounds, deep grooves, and lyrics that could have been written in the '70s. Her new album drops on April 20. This album is going to kill! MARDI GRAS PART 2 Burning James and the Funky Flames (pictured) play the sixth annual Mardi Gras party at the SLO Masonic Temple on Feb. 10, which also features The Rag Bones Saints Brass Band and the Brazilian Carnival Dancers and Drummers of Samba Loca! 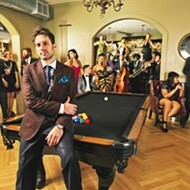 Burning James and the Funky Flames along with Bon Temps Creole Cafe present the sixth annual Mardi Gras Party with proceeds to benefit KCBX FM this Saturday, Feb. 10 (6 p.m.; $32 presale at slomardigras2018.brownpapertickets.com or $40 at the door), and usually by now the tickets would be long gone, but a few remain! Held at the bitchin' old SLO Masonic Lodge, the event also features The Rag Bones Saints Brass Band and the Brazilian Carnival Dancers and Drummers of Samba Loca! There's a no-host bar and delicious Creole food available to purchase. Get your Mardi Gras on! 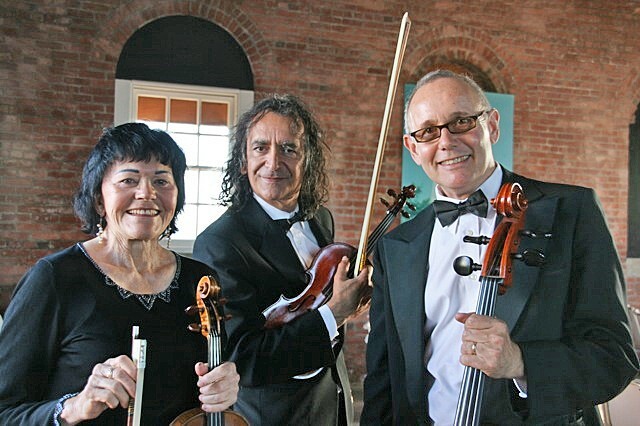 LOVE IS IN THE AIR Bring your sweetie to Puffers in Pismo on Feb. 14 and hear the Candlelight Strings, who can play The Beatles too!